Raindrop Reads: Back from Living Under a Rock. Back from Living Under a Rock. Sorry I've been such a blogging jerk for the past 3 weeks. I've totally ignored all notifications, comments, and friends' blog posts. So, basically, I've been gone from the blogosphere for about 3 weeks straight. Ok, so, long story short, I got the flu (week 1), then I got behind in school and had not time to read or blog until I got caught up (week 2 and 3). 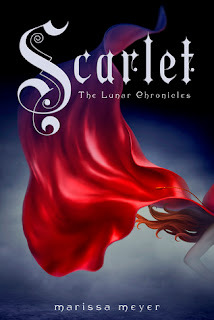 So, anyway, I am currently devouring Scarlet by Marissa Meyer, and should have a review up by next weekend at the latest. Guys. It's so good. I can't even describe. Feels. Anyways, so glad to be back. I missed you guys a ton. AHHH. YOU MUST READ IT. I read it, but never wrote the review... I need to do that. Haha. Oh well. I'll do it sometime this week. Oh Delaney. I love you so much. Sorry I've been so crazy and away from the blogging world. BUT I'M FINALLY BACK SO TIME TO PARTY HARD. Unfortunately, Raindrop Reads is an awards-free blog, as I don't have time to pass them on to all the wonderful other bloggers that deserve them. I cannot even describe how honored I am, and I encourage you to keep up the lovely work on your blog. It's very beautiful and well-written. I love the layout! 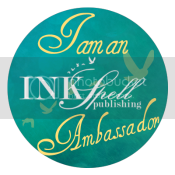 Unfortunately, as I mentioned above, I don't do blog awards here at Raindrop Reads, though I am very thankful for the nomination. I am so thankful for you and all of my other followers who nominate me and who leave lovely comments for me to read. You guys truly make all of this worth it. So thank you, and I apologize. You really don't know how much of a blessing this is to me! Please keep up the wonderful work on your blog. I am ever so sorry! I got rather behind in school (again) because of a bunch of field trips and absences. But this week is spring break for me, so I'm back for a full week at the very least. Thank you so much for your support! I can't even describe how much it means to me. I'll definitely try to keep up the posting.